This is the second site design template. I looked at how to collect pages together for different groups. I used the "treehouse" template to get the overall look of the site. The sidebar was kept switched on and I have not used a horizontal navigation bar. I put two different navigation areas in the sidebar and chose which pages to include in each group. The group 1 and group 2 titles were made on Google Drawings and saved as image files. These were included in the sidebar in text boxes. This is quite a simple set up, but I wanted to focus on grouping elements together in the sidebar. To simplify the look more, I removed the search box that automatically appears in the header and centred the main title. Link to the site template here. Link to the documents used on the site here. If you want to find out how to make the slider on the front page, the link is here. Check out other site design templates on this link here. I had a really interesting conversation as we were having our after school toolkit sessions yesterday. 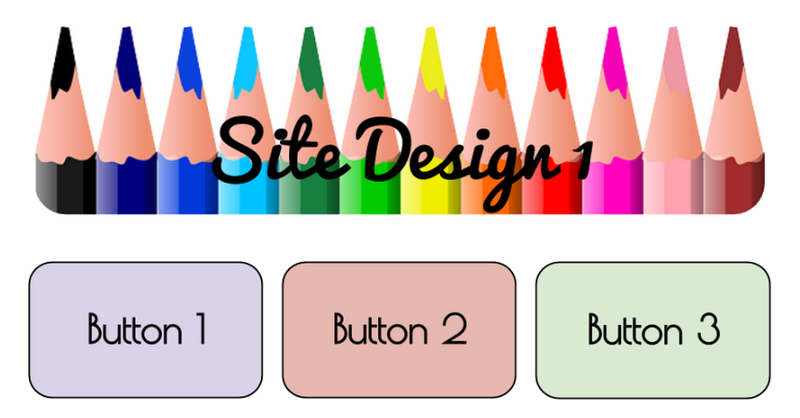 We were working on our site designs, and I was chatting with a colleague from a local primary school and she was wanting a site design that did not use tabs across the top or a side bar as it was too fiddly for her very young class. She just wanted button navigation for them on the class site. This got me thinking about site design a subject. 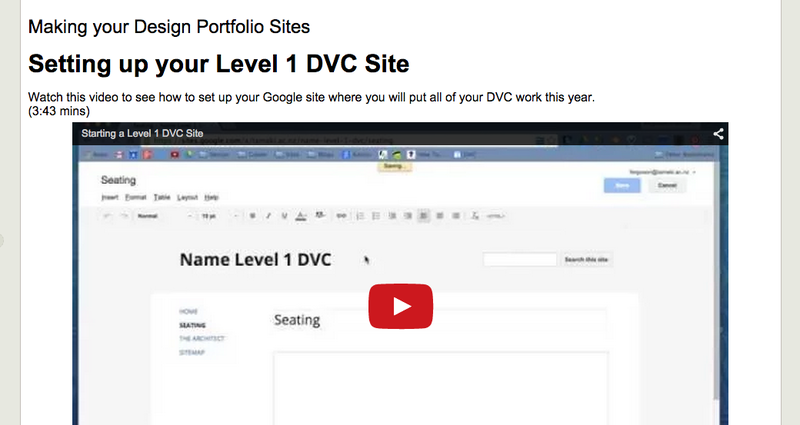 There are so many different ways of doing a class site using Google sites. It is just a case of thinking about your user and how they are going to be using the site and tailoring it to fit. So this in turn got me thinking about doing a series of different design templates. Here is the first one that I have tried. I have taken all the navigation off ( no side bar or horizontal navigation tabs ). I have also removed the header so that custom headers can be placed on each page. I have made this site a template if you want to use it, just click the bar at the top. When you have your own copy, you can get into the settings and see how it is made and laid out. The link for the folder of documents is down below. I made page 1, linked off button one on the home page, then I made that a page template so that I didn't have to worry about sizing the Google drawing at the top every time I made a new page. All I have to do to make a new page is to choose the page template and change the link to a different google drawing ( if i want a different one at the top ). All of the buttons are made on Google Drawing and either embedded as a drawing (in the case of the page headers, so the moving gifs work) or saved out as images and the images linked as buttons. Here is the link to the folder of documents if you want to use them. The new 4 letter Word - BOOK !! If you need a science fact about how water molecules are put together, is the fact any different if it is read online or in a book? So, if a fact can be found by thumbing through a book, great! If it can be found by a quick internet search, then that is great too! 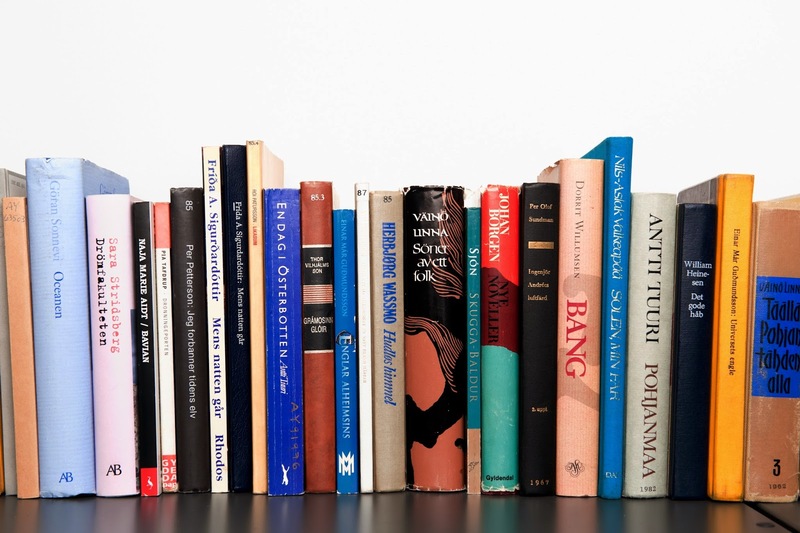 We have to teach students to use all the resources around them when doing their research , including newspapers, libraries, the internet, talking to people, market research, and yes, old textbooks. After that, online apps and activities are fantastic at embedding understanding of the facts as it forces students to use what they have learned in practical ways. This, as we all know, is one of the top keystones to learning - using and applying. There is a huge wealth of this stuff out there on the web for us to use with our students. But lets not throw the baby out with the bath water. Lets teach our kids they have lots a ways to find and use information. Then they can create their own and share it with the world. If I am expecting my students to work more independently, away from me, on their project work, then I expect them to be confident with their "Google stuff" too. I thought that maybe I could let them use the How To site that I have been working on for staff for a year and a half now. This would be Ok if I linked to specific How To videos at key points in the process on their class site. I decided not to do this in the end as I thought that the students would have more understanding if I linked the videos with what I was expecting them to do on their project sites. So, the upshot of this has been a new section on my class site called Design Portfolio. I have been trying to think of everything that the students might need to be reminded about when they are making their design portfolios and putting their work onto it. They can then refer to these videos when they are not in the class and need to be reminded about what to do. I have also linked to the specific parts of this list that refer to activities within the project explanations on the class site. This is useful as I can then make one video for a skill and refer to it at multiple points within the site. I can see this area growing to include drop downs for topics such as using Google Plus, and specific design apps that we use online. I will do them as different pages for each different topic as the students do not like pages that are too long to navigate. One of the good things about Google Plus is that people are always posting interesting, useful things. Today, I read about a really useful Chrome extension called Screencastify. I decided to check this out as a possibility for my students to record the analysis of their design work. We have played with Explain Everything on the iPads in the classroom (blog post here), but I wanted to check out Screencastify as I know they all have access to Chrome on their netbooks and chromebooks. It was really easy to set up, as it just needed you to click a couple of things to grant access. You decide whether you want to save your work on the hard drive of your machine or your Google drive. Really easy. I chose to save to my Google Drive. This then makes it simple to embed onto a Google site. Here is my test that I made today. When we had a go in the lesson with Explain Everything, my students were very shy about the whole thing. Maybe if they have access at home to practicing their audio recordings of their work, they can have a better go as they won't feel the pressure of me wanting it from them within the lesson. They can start again as often as they like and no one will know. I now need to make sure that structured help is available for them to access at all times, so they feel comfortable about what they are going to say. This is a much more likely option for students to use out of the classroom as Explain Everything was good and has lots of other functionality, but it involves having a suitable device. I know that all my students have access to this option of Screencastify. This will also be good for when I want them to talk though techniques that they are learning.